If you're looking for a fun and sweet way to decorate your daughter's room, this decorative wall sticker is the perfect solution! 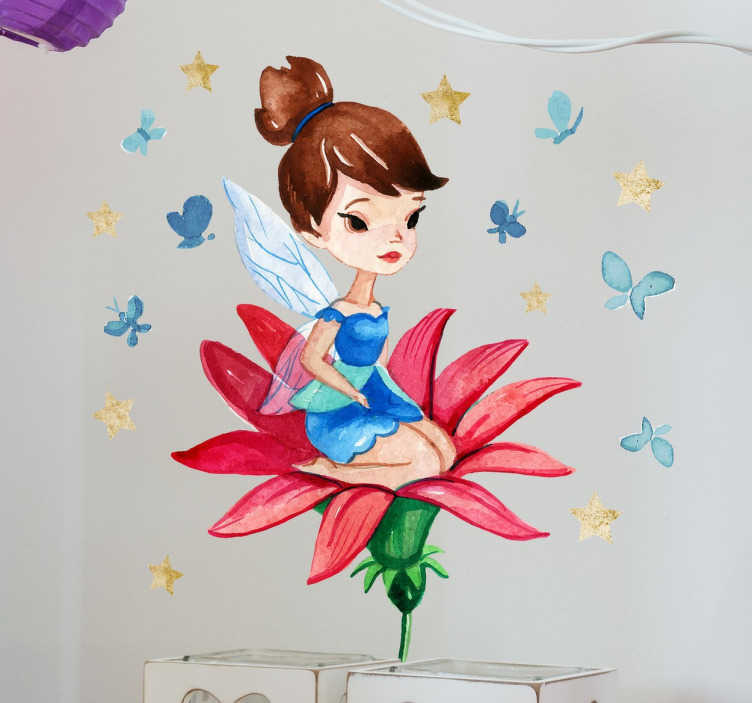 Featuring a lovely design of a fairy perched on a flower, this sticker is ideal for your children's bedroom, playroom or nursery! Available in a wide variety of different sizes, this vinyl is applicable to any hard smooth surface and is as easy to apply as it is to remove!